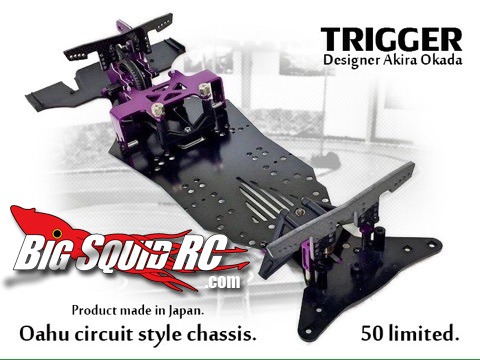 RC Oahu Trigger RWD Chassis – Japan exclusive « Big Squid RC – RC Car and Truck News, Reviews, Videos, and More! 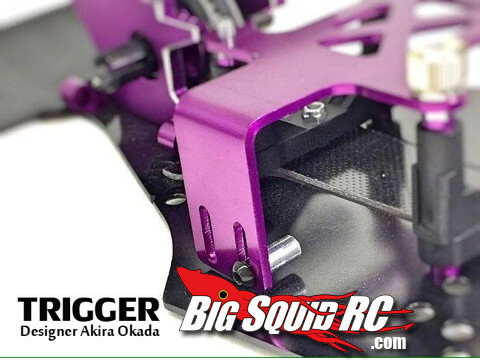 Following up on last week’s The Cub Report, let’s take a look at RC Oahu’s Trigger chassis. This one is said to be limited to 50 units and brings a few tweaks to popular trends in the drift scene. 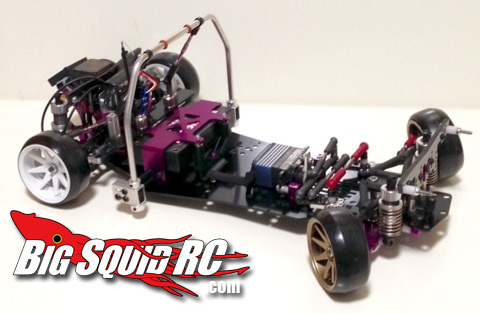 RC Oahu is a drift track located outside of Tokyo. The track layout and size drive home the “less is more” mantra of drift. Features include; rear belt drive motor with weight shift mounting options. Rear heavy drift cars are all the rage now – this style helps put weight and grip over the rear tires to allow faster overall speeds. A raised and adjustable battery position – raising the center of gravity can give the car more roll for enhanced style and tuning options. 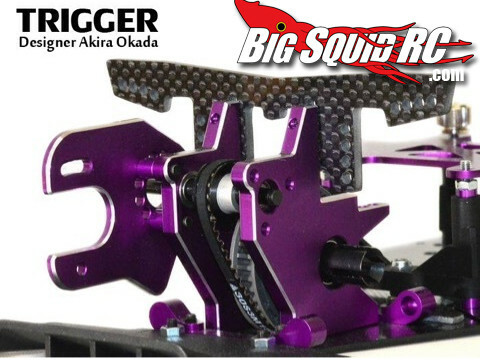 Sliding front bulkhead to adjust caster settings – no need to buy multiple parts, it appears you can simply slide the bulkhead front to rear to get your tune on. Crazy center servo mounting style – 4 turnbuckles! And bottom mounted front suspension blocks, which was wildly popular for a few months before falling out of favor in the online tuner scene – this style helps get front clearance by essentially raising the car and allowing unlimited droop.